AT&T Samsung Galaxy S3 SGH-I747 Smartphone comes with pre-installed Android OS, v4.0 (Ice Cream Sandwich) Firmware so if you're owner of AT&T Samsung Galaxy S3 SGH-I747 and running an old Android Firmware v.4.0 (Ice Cream Sandwich) than you can Download and Manually Install Latest Android 4.1.2 Jelly Bean Custom ROM Update based on CyanogenMod 10 (CM10). Android 4.1.2 Jelly Bean is officially available for AT&T Samsung Galaxy S3 SGH-I747 Smartphone, users just need to have ClockworkMod 10 (CM10) Recovery installed in order to Install and Update Custom ROM Firmware from Old Android Firmware v.4.0 (Ice Cream Sandwich) to Latest Android v.4.1.2 (Jelly Bean) On Samsung Galaxy S3 SGH-I747. Android v.4.1.2 Jelly Bean Update for AT&T Samsung Galaxy S3 SGH-I747 will provide several new features, bugs fixes and performance boost in hardware and software to your Android device. 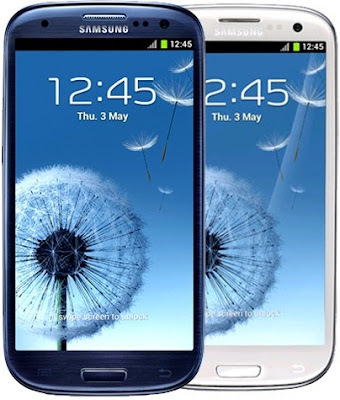 In this post we will provide you Tutorial and Guide to Manually Install Android 4.1.2 CM10 Jelly Bean Update On AT&T Samsung Galaxy S3 SGH-I747 with easy steps and procedure. First you will need to take a Full Back-Up of your AT&T Samsung Galaxy S3 SGH-I747 Smartphone Data on your Laptops or PC's to avoid any conflict or damage in processing because we are not responsible for any damages, software and hardware loss occurs when implementing this tutorial and guide. So let’s begin the Tutorial and Guide to Download and Manually Install Android 4.1.2 CM10 Jelly Bean Update On AT&T Samsung Galaxy S3 SGH-I747 Smartphone. Before you start the procedure you need to fully charge your Samsung Galaxy S3 SGH-I747 battery and it should be 80-85% charged. You will also need to enable USB debugging mode which helps you to connect your Android phone via PC. Your phone should be factory unlocked. Your phone should be rooted and have ClockworkMod Recovery installed. (If not, Click here). Now Just follow our Tutorial and Guide to successfully Download, Flash, Root and Manually Install Android 4.1.2 Jelly Bean On AT&T Samsung Galaxy S3 SGH-I747 Smartphone. Step 1: Download Android 4.1.2 CM10 Jelly Bean ROM and Google Apps for Samsung Galaxy SIII SGH-I747 to your computer. Step 2: Connect and mount your AT&T Galaxy S3 USB memory on your computer using the USB cable. Step 3: Now copy/paste the downloaded Android 4.1.2 ROM zip and Google Apps files to your SD card. Make sure the files are in the SD card root (not in any folder). Step 4: Then turn OFF your phone and disconnect from the USB cable. Step 5: Now to get in the Recovery Mode. Switch ON the phone while pressing and holding Volume Up + Home + Power buttons together. Step 6: In ClockworkMod recovery, perform a full data wipe first. Then scroll down to “flash zip from SD card” and press the Power button to select it. Step 7: Press the Power button again and select “choose zip from sdcard”. Step 8: Now using your volume keys, navigate to the Android 4.1.2 ROM zip file that you copied to your SD card and select it using the Power button. Confirm the installation on the next screen and the installation procedure should start now. NOTE: Repeat this step for the Google Apps zip file as well. Step 9: After the installation completes, go to “+++++Go Back” and reboot the phone by selecting “reboot system now” from the recovery menu. The phone will boot now and it might take about 5 minutes to boot on your first time. So, please wait. Congratulations!! You have successfully installed Android 4.1.2 CM10 Jelly Bean Update On AT&T Samsung Galaxy S3 SGH-I747, for verification Go to Settings > About. BEWARE: The above Content and Tutorial was provided by teamandroid and we at TechGlobeX don’t support or promote piracy in anyway. This article is purely for informational purposes only and we are not responsible for any damages, software and hardware loss occurs when implementing above method. Downloading and installing cracked apps are illegal. The whole purpose behind above tutorial and guidelines is for app testing and we encourage peoples to purchase original app directly from App Market.